Adventist La Grange Memorial Hospital issued the following announcement on March 8. Lower back pain is a major problem in the United States. One study found that from 1992 to 2006, lower back pain among adults 21 years or older increased from 3.9 percent to 10.2 percent. Other research suggests that back pain can cost employers an estimated $7.4 billion every year, and that’s only counting workers over 40. As common and costly as lower back pain is, some of the most popular treatments for it aren’t necessarily the most effective — and some of the most effective are also the most overlooked. Whether you are recovering from a backache, or trying to avoid one in the first place, you can test out these surprisingly effective pain-relief techniques from the comfort of your home. Three treatments in particular — medication, imaging and surgery — are considered the last resort of lower back pain management. Many clinical practice guidelines recommend exercising caution and discretion when it comes to prescribing them, since there are safer and less invasive methods for tackling a backache. Especially in a time when prescription opioid addiction has risen to epidemic levels, it’s important to find alternative solutions. Nevertheless, a 2018 report in The Lancet found these very treatments are disproportionately prescribed. The solution to lower back pain doesn’t have to be so involved. Use this guide to shape your lower back pain management instead. It’s a commonly held myth that bed rest is the best way to recuperate from a back injury. While it’s true that you should take it easy for the first few days after until the swelling goes down, your best option is to keep your body active and limber. Exercising your core is a much more reliable way to alleviate and prevent lower back pain. Try partial crunches, hamstring stretches, wall sits and pelvic tilts if your back is aching. Aerobic exercise is also an important part of staving off back pain. Swimming or aqua therapy are especially effective in this regard. Alternatively, hop on a bike and get your heart pumping. Whether you’re currently feeling the hurt or worried about the next time it strikes, these stretches for lower back pain might help. It takes just 15 minutes to stretch and strengthen your back — fit it into your daily routine to stave off aggravating lower back pain. If you just pulled a back muscle trying to drag something heavy upstairs, then you’ll want to take immediate action to start feeling better. Ice can help reduce inflammation in the first 48 hours after an injury, and heat works well after that. Plus, an over-the-counter pain reliever such as Ibuprofen or Tylenol® can help ease the throbbing, aching pain. If you aren’t currently overcoming a minor back injury, you’ll still want to do what you can to prevent one in the future. Some lifestyle changes are straightforward: smoking has been linked to lower back pain, for example, and correcting your posture will go a long way toward maintaining a pain-free lifestyle. You might also invest in some ergonomic furniture and flat-heeled shoes, or, if necessary, some low-heeled kicks. The good news is that most cases of lower back pain are short-lived (90 percent are resolved within six weeks). The bad news is that recurring episodes are common. The better news? A pain management specialist can help treat the source of your lower back pain with a multi-modal approach that can get results without opioids or surgery. If your lower back pain lingers past six weeks, consider making an appointment with an AMITA Health pain management specialist. If you’re experiencing any of the following symptoms in conjunction with your lower back pain, make sure you mention it to your pain management specialist or primary care doctor. It could be more serious than it seems. 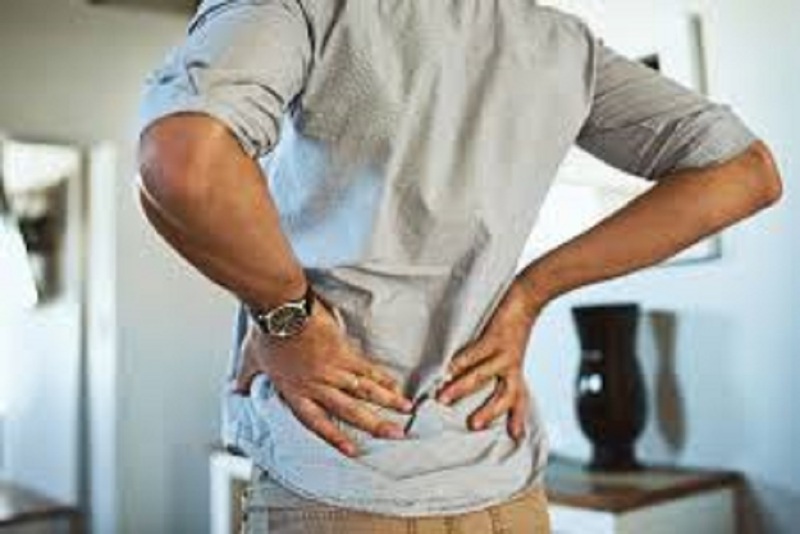 If you’ve had major back trauma in your past (or if you’re older than 50 and you’ve had minor trauma), it’s smart to make sure your current lower back pain isn’t connected. Other conditions in your medical history could be a red flag as well, including cancer, suppressed immune system, osteoporosis and chronic steroid use. Lower back pain is very common, but that doesn’t mean that you have to live with it. Contact an AMITA Health pain management specialist to help you stay healthy, strong and pain-free.